This limited-edition shirt is available for a couple days only so grab it before it's gone! 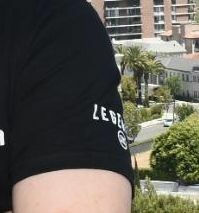 It's not the official TNT Legends t-shirt.It doesn't have the logo on the sleeve. I hope the real thing will become available at some point. Another seller of a lookalike t-shirt. Seat42f and TNT have teamed up to give TEN lucky winners a LEGENDS #DontKillSeanBean T-Shirt. For a chance to win leave a comment below telling us why you want to add a LEGENDS #DontKillSeanBean T-Shirt to your wardrobe. Only one entry per person. 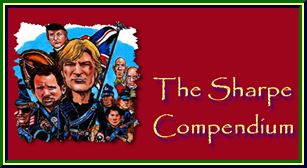 Contest ends July 27th. Winners will be notified on July 28th via email so make sure to use a valid email address when you post your comment. Join the movement! 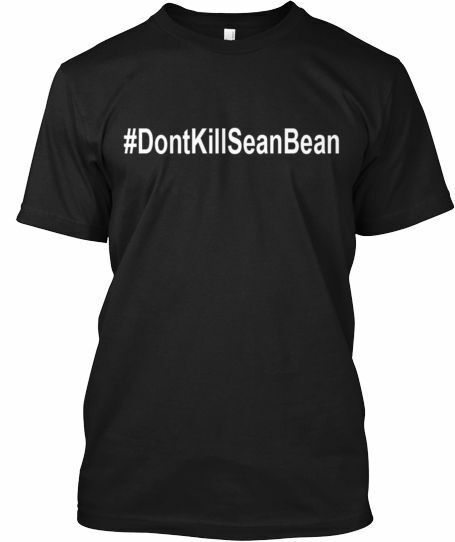 RT and you'll be entered to win a #DontKillSeanBean shirt! #Legends premieres Aug 13 on @tntdrama. I just retweeted, so I guess I have a chance to win the shirt. 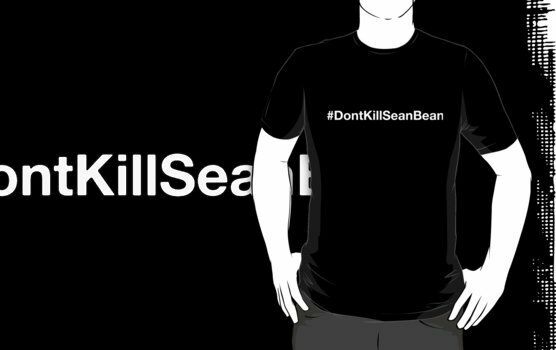 Besides the t-shirt Redbubble are now selling other #DontKillSeanBean products. Lucky us – TNT sent us a handful of #DontKillSeanBean t-shirts! But we’re not selfish – we want to give them to you. (If we wore them, people would know it was us and it would blow our cover.) Want one? We’ve got a couple of ways to win, and you can take the easy way, the hard way, or BOTH!!! I wore one on the last day at Wizard World Philly. It made one of the women waiting in Sean's autograph line smile.